Yoga creates children who are bright lights in this world, increasing their self-awareness and strengthening their bodies. It’s so easy to think of yoga as simply as adult’s exercise as a way of building flexibility. The truth is, yoga can be so much more than that. Yoga involves learning a combination of balance, breathing and movement all while becoming relaxed, calm and meditative. While that may seem like a complicated endeavor, it’s so easy that even a child can do it. And they should – on a regular basis. Yoga is beneficial for children. We may think kids are immune to the stresses and pressures of the world but they are affected by them as much, if not more, than we are. A busying schedule of school and extracurricular activities combined with continuous distraction and over-stimulation can lead to lack of focus and poor concentration. As more and more pressure and stress are placed on a child, the more they are going to tune out the world. Most of the time, this involves screen-time and video games in order to escape the constant demands in their lives. Yoga involves learning how to balance the body and therefore promotes a sense of stillness and quiet. It is in this space of peace that children can learn how to focus and pay attention to their body and their movements. The breathing techniques used in yoga also teach focus as well as relaxation while the meditative aspect of the practice creates a soothing and calming presence. Having a strong body doesn’t refer only to having strong muscles. The entire body requires strength in order to move around, digest food and even to breath properly. While most think of yoga as an exercise focused on stretching, it actually creates strength in the muscles and joints as well as promotes healthy circulation and coordination. For children who are involved in physical activities such as sports, the flow of yoga is great for maintaining joint health and proper muscle movement to avoid injuries. For children who are less active, or inactive, yoga is perfect for introducing physical activity through less strenuous exercise. For a lot of children, physical activities means playing some sort of competitive sport involving the stress of winning and losing. While sports are a great way to build camaraderie and teamwork, the pressure to perform may cause anxiety for some children. Yoga is a non-competitive way to engage in physical activity that fosters a sense of cooperation and compassion. 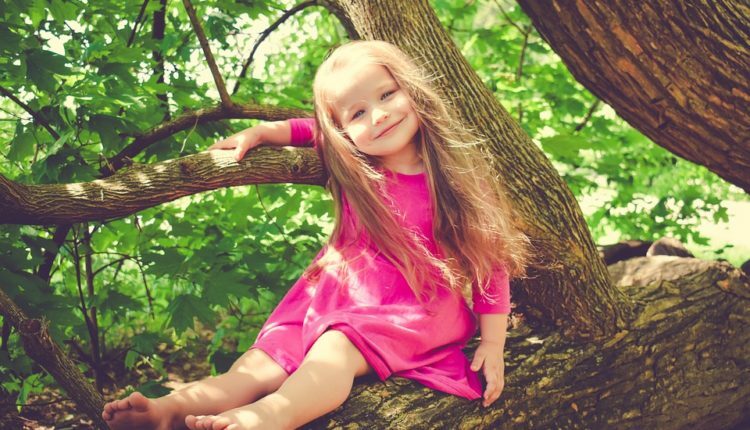 As children move through a series of poses, they are connecting not only with their bodies but with the world around them as well. This body awareness helps them to understand not only how their body works but creates a connection between their body and their mind – piecing together their identity through connecting their thoughts with their physical form.